Long Yu, the distinguished Chinese conductor with an extensive international reputation, is the Music Director of the Shanghai Symphony Orchestra, Artistic Director & Chief Conductor of the China Philharmonic Orchestra and Music Director of the Guangzhou Symphony Orchestra. He is also the Principal Guest Conductor of the Hong Kong Philharmonic Orchestra. Maestro Yu is the Founder of the Beijing Music Festival and was its Artistic Director from 1998 to 2018. He is the Co-Director of the MISA Summer Festival in Shanghai. In the 2018/19 season, alongside his work in China, Maestro Yu makes guest appearances across the globe, including with the New York Philharmonic Orchestra, Pittsburgh Symphony Orchestra, Philharmonia Orchestra, NDR Elbphilharmonie Orchestra, Orchestre Philharmonique de Monte-Carlo, National Symphony Orchestra of Taiwan and others. In June 2018, Maestro Yu signed an exclusive recording contract with Deutsche Grammophon. As part of the Deutsche Grammophon’s 120th anniversary celebrations in 2018/19, Maestro Yu conducted a spectacular launch concert in October at the site of Beijing’s historic Imperial Ancestral Temple at the Forbidden City, alongside artists including Aida Garifullina and Daniil Trifonov. Maestro Yu has conducted a highly-acclaimed list of orchestras and opera houses throughout the world including the New York Philharmonic, Chicago Symphony Orchestra, Philadelphia Orchestra, Los Angeles Philharmonic, Montreal Symphony Orchestra, Washington National Symphony, Cincinnati Symphony Orchestra, Orchestre de Paris, Bamberger Symphoniker, Hamburgische Staatsoper, Berlin Radio Symphony Orchestra, MDR Leipzig Radio Symphony Orchestra, NDR Elbphilharmonie Orchestra, Munich Philharmonic, Melbourne Symphony Orchestra, Sydney Symphony Orchestra, BBC Symphony Orchestra, Hong Kong Philharmonic, Tokyo Philharmonic and Singapore Symphony Orchestra. Maestro Yu made his debut with the Guangzhou Symphony Orchestra in 1993 and in 2003 became Music Director of the orchestra. During his time as Music Director, Maestro Yu has embarked on European and Egyptian tours with the orchestra, performing at Théâtre des Champs-Élysées in Paris, Conservatoire de Luxembourg, Concertgebouw Amsterdam and Cairo Opera House. Maestro Yu continues to collaborate frequently with many of the world’s most celebrated soloists such as Alison Balsom, Sumi Jo, Lang Lang, Yo-Yo Ma, Mischa Maisky, Maxim Vengerov and Yuja Wang. In 2008, the China Philharmonic Orchestra under the baton of Maestro Long Yu became the first Chinese orchestra in history to perform at the Vatican in the Paul VI Auditorium. The concert was attended by Pope Benedict XVI and marked a giant step in bringing eastern and western cultures closer together. In 2014, Maestro Yu and the China Philharmonic became the first Chinese conductor and orchestra to play the fabled BBC Proms series with a televised performance at London’s Royal Albert Hall. The concert was viewed by millions of people across the United Kingdom. 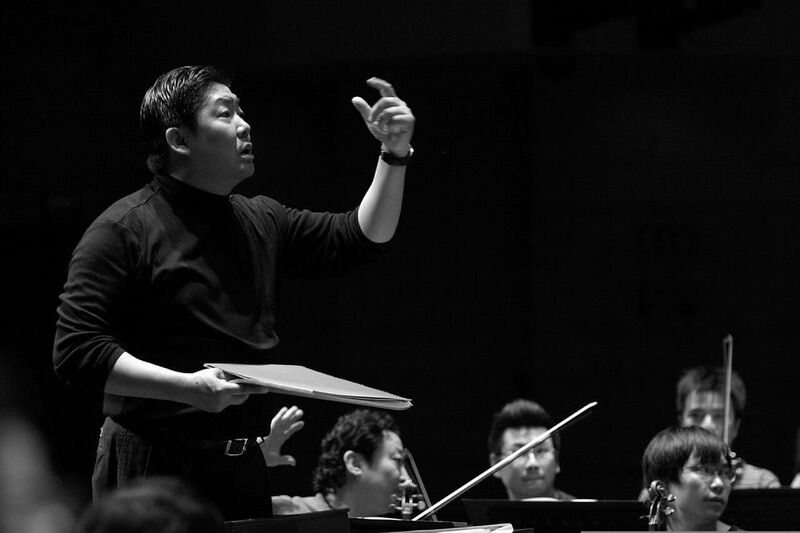 Leading the development of orchestral landscape in China, Maestro Yu has created the nation’s first orchestral academy as a partnership between Shanghai Symphony Orchestra, Shanghai Conservatory, and the New York Philharmonic. His dynamic vision is focused on introducing China’s growing audiences to key Western repertoire including Wagner’s Ring Cycle, Mahler Cycle, as well as works of Richard Strauss, Benjamin Britten, and many others. In 2014, the New York Philharmonic named Maestro Yu an honorary member of their International Advisory Board. The 12-member Board serves as a network of advocates and ambassadors connecting with individuals and institutions in their home countries to cultivate the Philharmonic’s long-term reach and influence worldwide. Born in 1964 into a musical family in Shanghai, Maestro Yu studied at the Shanghai Conservatory and the Hochschule der Kunst in Berlin. 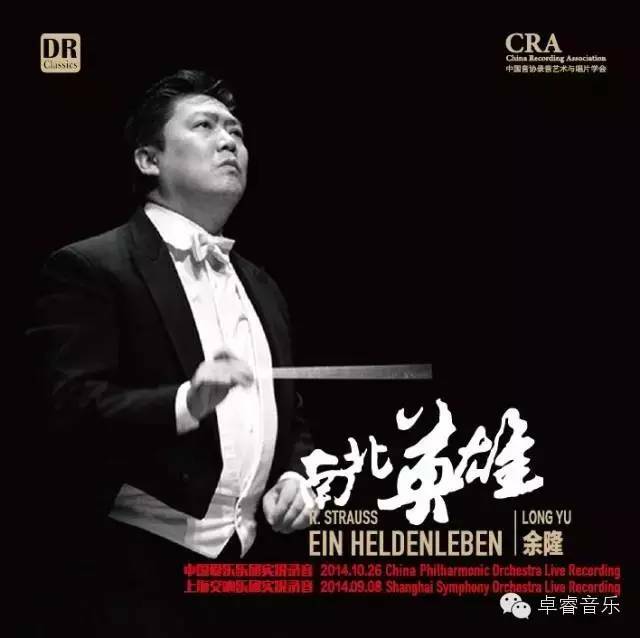 In 1992, he was appointed Principal Conductor of the Central Opera Theatre in Beijing and served as its conductor for three consecutive years. He created opera productions for The Urban Council of Hong Kong for five successive years. Maestro Yu is a Chevalier dans L’Ordre des Arts et des Lettres and the recipient of the 2002 Arts Patronage Award of the Montblanc Cultural Foundation. In 2005, the Italian government honored Maestro Yu with the title of L’onorificenza di commendatore. He was awarded France's highest honor of merit by joining la Légion d’Honneur in 2014. The following year, Maestro Yu was awarded the honorable title “National Literature and Art Worker of Excellence” in addition to the prestigious Global Citizen Award from the Atlantic Council and the Samuel Simons Sanford Award from Yale’s School of Music in America. Most recently, he was awarded the Order of Merit of the Federal Republic of Germany. Long Yu is managed by Askonas Holt.